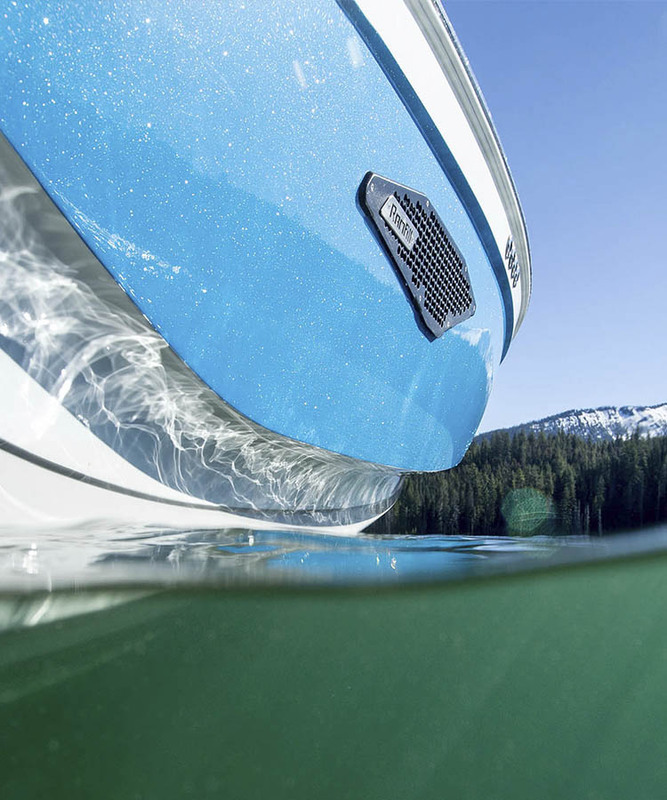 Put simply – Ramfill is the largest, quickest-filling ballast system in a wake boat, period. 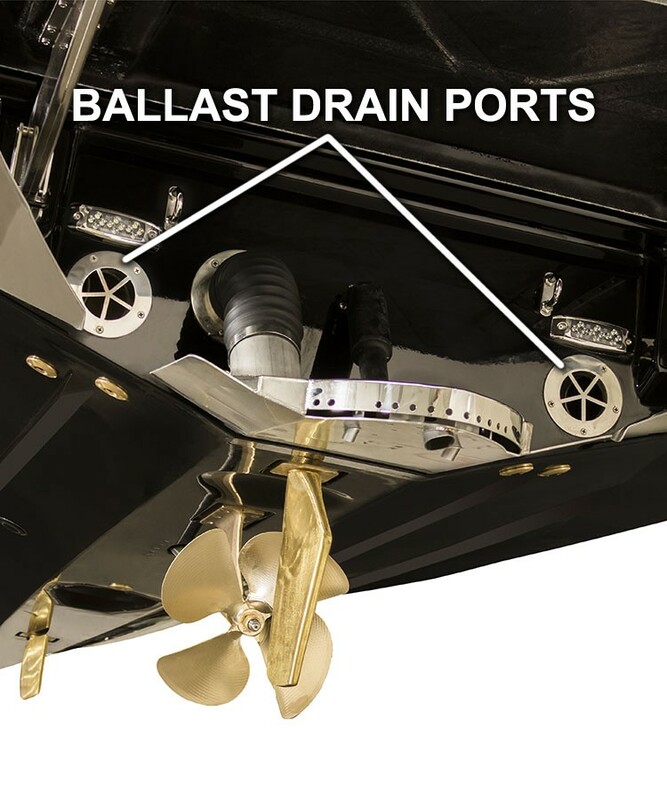 Instead of having the same system offered on nearly every other wake boat for the last 15 years, the Ramfill Ballast System uses a scoop on the bottom that opens and forces water into huge glassed-in tanks while driving (hence “ramfill”). 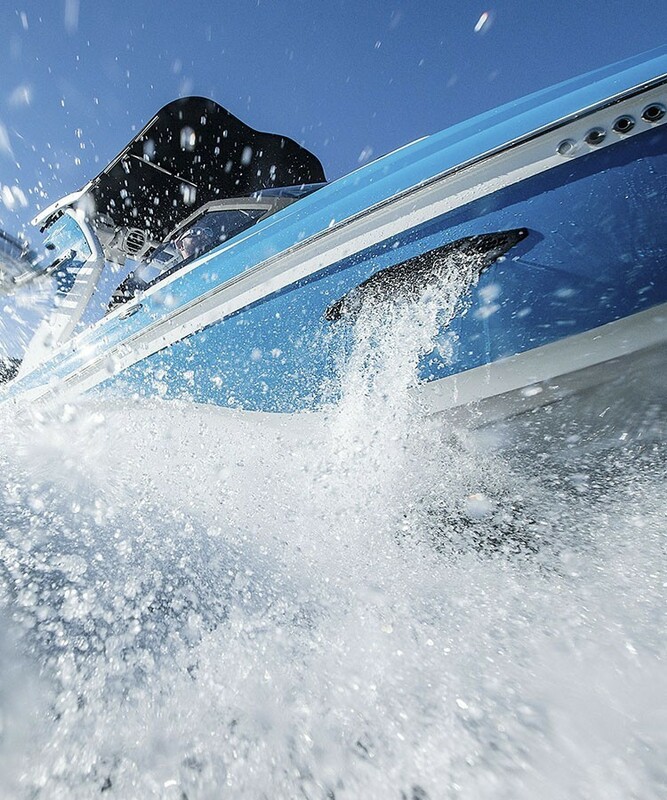 On the scoop are two – 3-inch intake valves that split off to each side of the boat. The tanks empty using valves at the back end of the boat which, when opened, allow water to rush out while the boat is underway. From the Touch Vision Command Center, you can see the ballast levels in each tank and see it as it fills / empties. 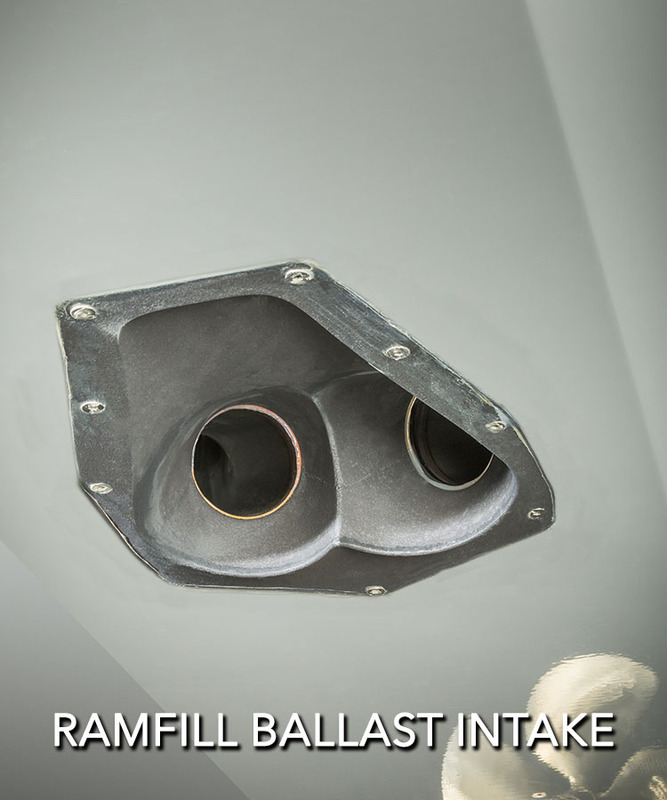 The combination of pressure generated by the moving vessel and the size of the intake pipes makes Ramfill, by far, the fastest-filling ballast system ever developed. When the valves are opened, the tanks are filled 30 times (yes… 30X) faster than a typical ballast pump, reducing ballast fill time from 15 minutes to 45 seconds. Say goodbye to long wait times when going from surfing to skiing to pulling a tube and then back to surfing again. 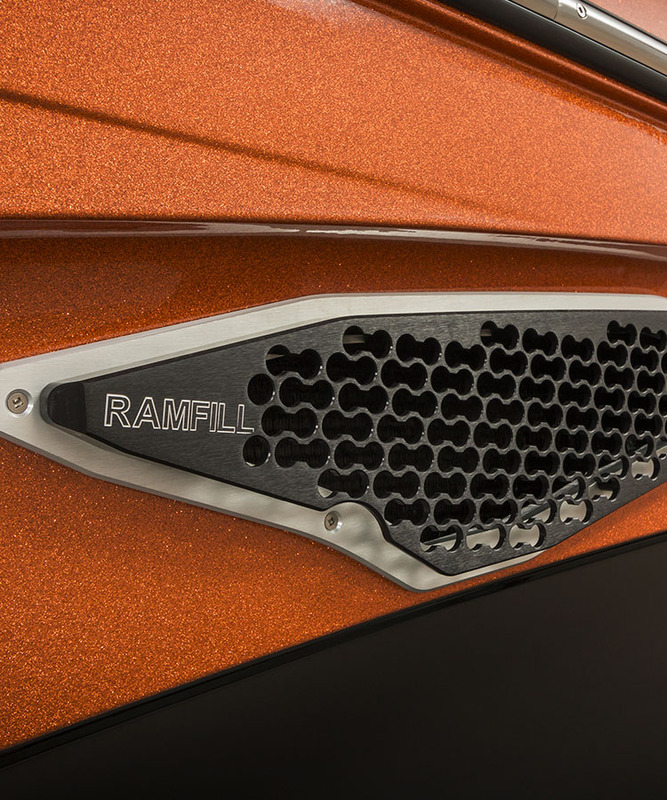 The Ramfill valves are opened and closed by a mechanical motor arm that simply slides up and down when activated from the touch screen dash. The motor units have been upgraded to a super heavy-duty system that makes them nearly bulletproof. The valve arm can also be operated manually with no electronics if needed, meaning that you can fill or empty your ballast by hand. 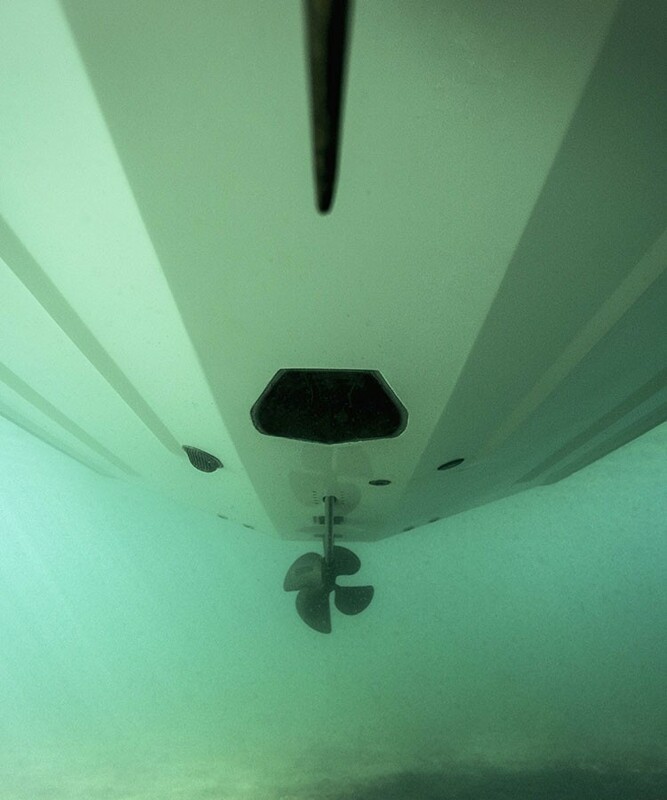 A ballast system that can be operated with no electronics whatsoever – How’s that for peace of mind? 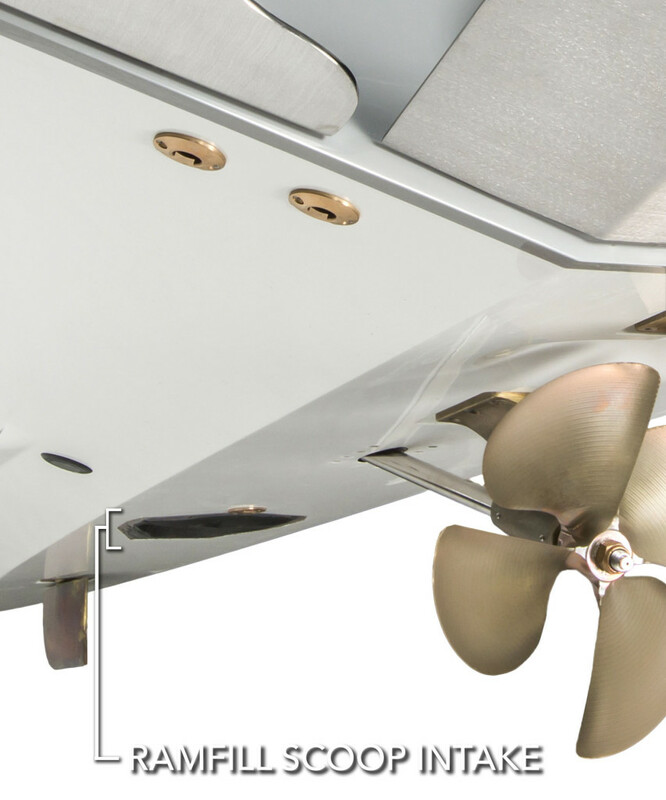 The simplicity of the system is part of why the Ramfill System is backed by a full 5-year warranty.